After a brutish, hedonistic Marquis marries a pretty young Clarissa to act as a 'brood sow,' he begins an affair with her friend who plots to take her place. A soldier spends the weekend with an actress after being stood up by her friend. Will he be able to change her cynical attitude towards love? Masterpiece of poetry; may be Phillis Calvert was in the cast? The first time I saw "Love Story" it was in London fifty years ago, and till now, when I take this movie into consideration, I unceasingly hear - together with the accurate, majestic and melancholic theme of Hubert Bath "Cornish Rhapsodie" - the sea-mews flying and crying on the cliff! 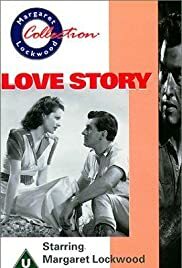 In my opinion, "Love Story" is a masterpiece of poetry: a simple film that was able to speak to the heart of a generation of people concerned in the most terrific war, and who understood the charm of hope and of life.